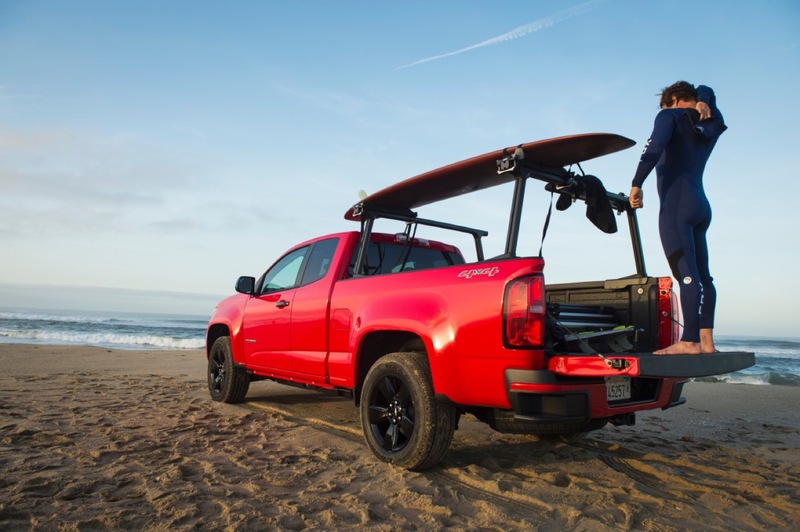 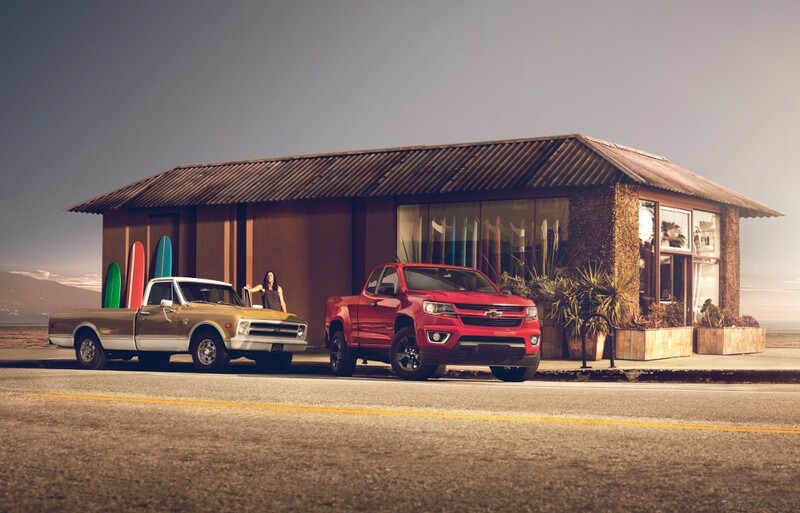 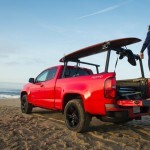 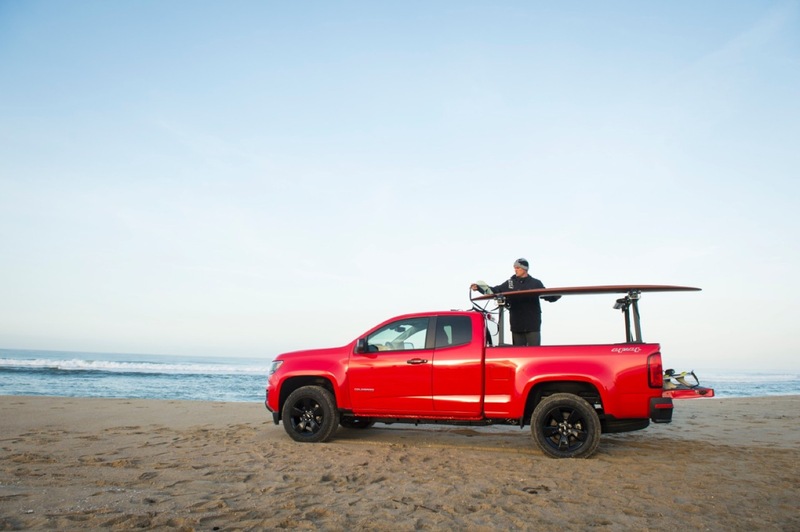 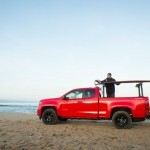 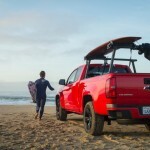 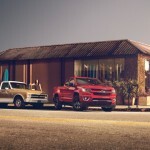 The Shoreline is a special edition of the 2016 Chevrolet Colorado designed for days at beach or on the lake. 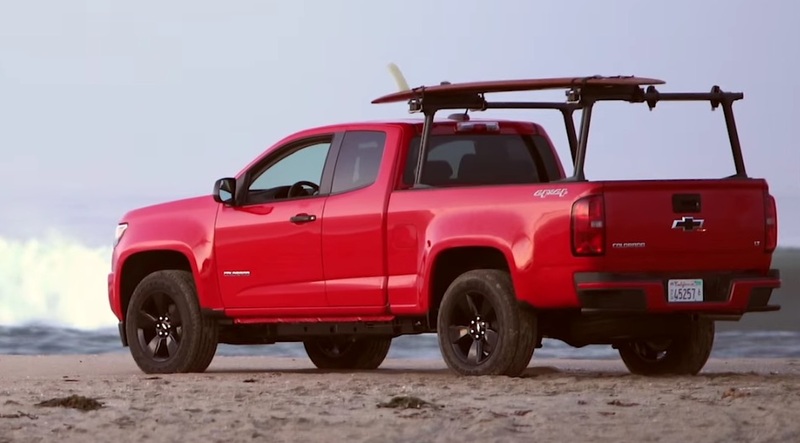 Blacked-out features and 18-inch wheels come standard. 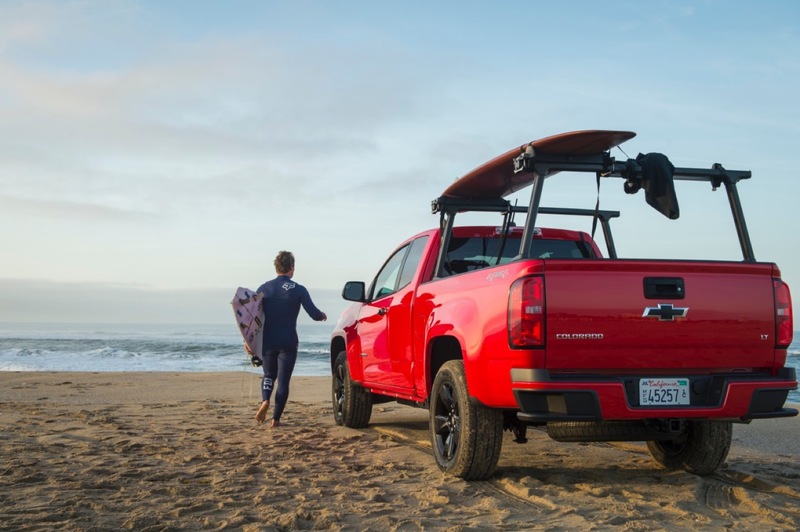 A variety of available accessories — including GEARON Tiered Storage Racks and a Thule Stand Up Paddle Board Carrier — help Shoreline make an even bigger splash.